IGCAR Hall Ticket 2018: The Indira Gandhi Centre for Atomic Research (IGCAR) will disclose the IGCAR Hall Ticket 2018 for the IGCAR Technical Officer, Scientific Assistant, Stipendiary Trainee, Technician, Upper Division Clerk, Stenographer Grade III Examination 2018. The IGCAR Stipendiary Trainee, Technician Admit Card 2018 will be available on the official website www.igcar.gov.in. The IGCAR Hall Ticket 2018 is a compulsory document for the IGCAR written Examination 2018. Candidates who are ready to write the IGCAR written exam 2018, they can immediately refer this article and grab the information about the IGCAR Hall Ticket 2018. Aspirants have to provide valid details like Registration Number, Date of Birth or Password details during the time of downloading the IGCAR Stipendiary Trainee, Technician Admit Card 2018. Contenders need to carry the IGCAR Stipendiary Trainee, Technician Admit Card 2018 for the examination center, and then ultimately you are allowed to participate in the IGCAR Exam 2018. The Indira Gandhi Centre for Atomic Research (IGCAR) higher authority had issued an employement notification for the job seekers. The IGCAR officers ready to hire the aspirants to fill 248 vacancies of Technical Officer, Scientific Assistant, Stipendiary Trainee, Technician, Upper Division Clerk, Stenographer Grade III posts. For this IGCAR Recruitment 2018, the application process start on 18th May 2018, and the application process end date on 17th June 2018. Interested and eligible individuals must apply for the IGCAR Recruitment 2018 before the end date. Refer the official website of the Indira Gandhi Centre for Atomic Research to get the IGCAR Recruitment 2018 information briefly. The Indira Gandhi Centre for Atomic Research management is planning to conduct the IGCAR Technical Officer, Scientific Assistant, Stipendiary Trainee, Technician, Upper Division Clerk, Stenographer Grade III written test for the applicants as early as possible. For this purpose, the Indira Gandhi Centre for Atomic Research will disclose the IGCAR Hall Ticket 2018 few days before of the test. 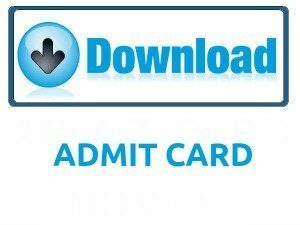 Aspirants should download the IGCAR Stipendiary Trainee, Technician Admit Card 2018 at least one week before to the exam. There is tight competition for the Technical Officer, Scientific Assistant, Stipendiary Trainee, Technician, Upper Division Clerk, Stenographer Grade III vacancies. To overcome this tight competition, all the applicants should prepare well for the IGCAR written Examination 2018. Therefore candidates can download the IGCAR Technical Officer, Scientific Assistant, Stipendiary Trainee, Technician, Upper Division Clerk, Stenographer Grade III exam pattern, previous papers and syllabus from our website Sarkari Naukri. In this above table, we had mentioned information about the organization name, position name, availability vacancies information, exam date and admit card status in details manner. Aspirants should download the IGCAR Hall Ticket 2018 within a fraction of seconds by hitting on the below-provided link. We recommend all the applicants that go through the entire information presented in the IGCAR Hall Ticket 2018. In the beneath of this post, we had provided few sets of guidelines and instructions which are necessary to download the IGCAR Stipendiary Trainee, Technician Admit Card 2018 from the official website. The IGCAR Hall Ticket 2018 contains information related to the applicant name, date of birth, photograph, and signature, etc. If any info printed wrongly in the in IGCAR Stipendiary Trainee, Technician Admit Card 2018, then report to the higher officers, so that they can make proper corrections before the examination. The IGCAR selection process contains Written Test, Skill Test, Personal Interview. Competitors must and should clear all selection rounds efficient manner, then only they will get a position in the Indira Gandhi Centre for Atomic Research organization. So all the applicants must prepare well for the selection levels and give the fabulous performance at every round conducted by the Indira Gandhi Centre for Atomic Research recruitment team. Candidates should check the official website to know more info about the selection process. The IGCAR Stipendiary Trainee, Technician Admit Card 2018 will play a vital role in the IGCAR Technical Officer, Scientific Assistant, Stipendiary Trainee, Technician, Upper Division Clerk, Stenographer Grade III Examination 2018. Aspirants should download the IGCAR Hall Ticket 2018 after official declaration. By seeing the Hall Ticket, candidates will come to know about the exam date, time and venue. Test Participants need to download the IGCAR Hall Ticket 2018 few days before of the IGCAR written examination. Till date, the official didn’t declare any date related to the IGCAR Hall Ticket 2018 released date. After the official declaration, we will update the exact link on this article. Aspirants can revise preparation for the IGCAR Exam until the Test date is approached. Hope contenders already collected the details of the syllabus, previous papers, and exam pattern. If not, immediately get this from our website. Participants are suggested many times to attend the examination center at least 20 minutes before the examination. Aspirants if you have any doubts related to the downloading process, then take a look at the below-provided downloading steps. Indira Gandhi Centre for Atomic Research home page will be shown on the screen. Search for the IGCAR Hall Ticket 2018 notification link on the main page. Enter the Registration Number, DOB and Password details. Now IGCAR Hall Ticket 2018 open on the screen.